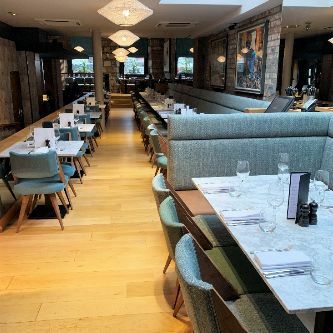 Both the Adamson restaurant and cocktail bar have been transformed into a lighter and brighter eatery after significant refurbishment & design by Hen & Crask. The space has a more stylish and contemporary look with bright colours in the restaurant and a new feature entrance wall in the cocktail bar. We can’t wait for you to visit us and fall in love with The Adamson all over again.